Well here we are boys and girls, the 2016/2017 season is finally here! What a summer it has been for the blues. A new manager, some new players, some new attitudes and the usual undefeated start to the opening day of the season. For those of you new to my weekly articles here is where I come to give a quick overview of the most recent game and then I give some news and info and maybe a little rant, pending on how the week has gone. 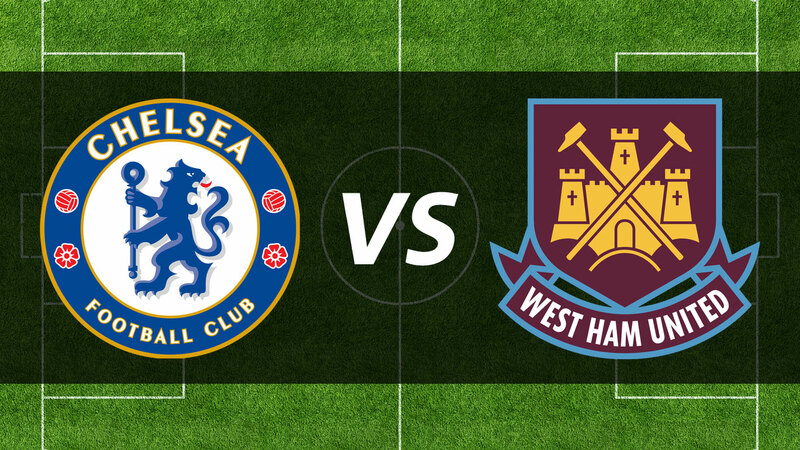 Lets start with our 2-1 victory at home to West Ham. Now West Ham under Bilic have turned into quite a decent side! So this wasn’t going to be a walk in the park. There was a buzz around the Bridge with Conte having his 1st competitive game and also Kante starting his destructive role in midfield. Conte did spring a few surprises by opting for the enigma Oscar over the assist master Fabregas. Chelsea walked away from the game with an impressive 2-1 victory! The scoreline makes the game sound a lot closer than it was! Chelsea should’ve buried the game in the 1st half but had a lack of cutting edge in the final 3rd. Hazard was back to his magical best but faded late into the 2nd half. 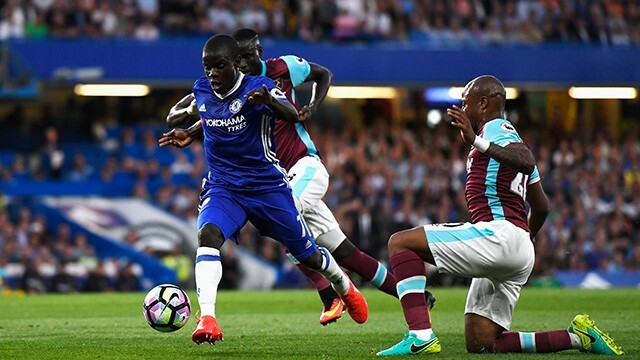 Kante gave a solid debut and had the fans licking their lips at whats to come. Oscar put in a brilliant performance but for me, it’s not what he does at home to West Ham it’s how he performs when we go to Anfield, or The Ethiad etc! Chelsea won the game 2-1 with a penalty from Hazard and a sublime finish from Costa in the dying moments of the game. The goal came from a lovely flick from the late sub Batshuayi who showed that he can assist as well as score. I really would like to see these 2 play up top together. Costa was lucky to be on the pitch but us Chelsea fans need luck considering the bad luck we had under that Portugese fella. Also I want to give a big shout out to the defense. We all were scared of what could happen with the backline OAP’s, but they played really well and even Ivanovic had a decent game, but don’t get it twisted…..We still need a defender!! Koulibaly is getting boring now, is he coming or is he staying. Let’s have a look! I can’t be the only one thinking we are having our pants pulled over our head. I have seen him play a handful of times and I at no point thought ‘Yes this is a $60 million pound defender. Yes we need a defender but $60 million is alot and for a player that a year ago Napoli didn’t even want! We have chased and chased and I don’t feel we are anywhere to getting this deal done. Emenalo has a lot to answer for! Yes we have Kante and Batshuayi but for a team looking to get back to the top, it seems are recruitment drive is non existent. We have been linked with many players but only media based nothing that is concrete from the club. Emenalo’s phone hasn’t been used since he checked to see his enormous salary had gone in his bank!! We constantly buy players and loan them out and don’t seem to have any plan in our recruitment process. It will be a long season and another one to suffer for Chelsea fans if the damages of last season are not seen too. Man United and Man City saw there problem areas and within a month all business was done. Chelsea however are at a snails pace and many bums are getting squeaky. Crazy hey, you are on the bench for one game and the media jump on it. I was shocked that Cesc was on the bench but i believe his chances to shine will come. When I look at the workrate of Oscar on Monday night, I understood why Cesc was on the bench, so for me it’s clear what he needs to do to get in the side. Cesc is very talented with the ball at his feet but Conte wants more than that! Juventus and Real Madrid have been apparently sniffing around but I would put that down to more media trash trying to start a fire with no materials! Well in the summer Conte expressed how much he had wanted Cuadrado at Juventus, and was looking forward to working with him at Chelsea. It appears what Conte saw then and what he sees now in training everyday is not matching and the Colombian looks like he will be off again. I hope it is a cash deal, as these loan deals are getting ridiculous. If we have no plans for the player then sell them and trim the fat! Rival Fans Dissing Conte’s Passion. What is the world coming too when fans moan about a man showing passion. Idiotic rival fans who go nuts when their team score a last minute winner, but when they see someone else do it they like to mock them. 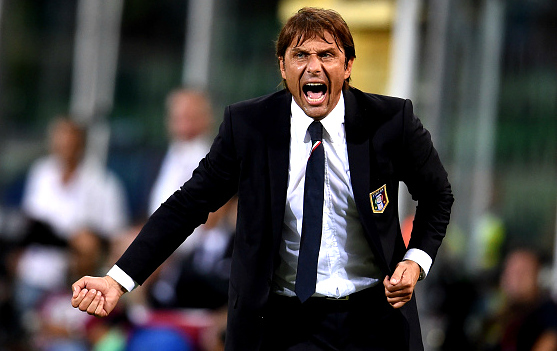 Conte on his debut see’s his team net a last minute winner in a London derby! Did they expect him to just sit there and make no face at all. I love the passion he showed and long may it continue. Well for Nigeria he plays number 10 and dominates games, for Chelsea he plays defensive midfield and is like an egg timer! Sometimes effective, sometimes not! Boring but efficient. I do remember though getting excited when we signed him as he was a very decent attacking midfielder, but that Portuguese guy saw him as a defensive midfielder and i feel ruined the talent of a very promising youngster. I would just like to say Mr Mikel as much as I slate you, i know now it isn’t all your fault but the fault of managers who didn’t know how to handle your talent or nurture it properly. Still being no closer to signing a defender, or anybody for that matter. The brilliant performance and energy showed by the boys against them Hammers. I am a huge football fan (the English version) And I am a Chelsea supporter! Love debating on all topics! My views aren't always right but I can have you believing they are! Down to earth guy who just loves sport!